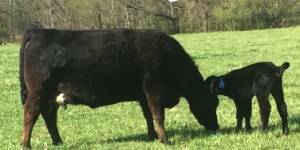 TLM Edge is a very maternal designed purebred Maine bull. He has the correctness, smoothness of shoulder and design of front to excel in calving ease. His EPD profile indicates the same. 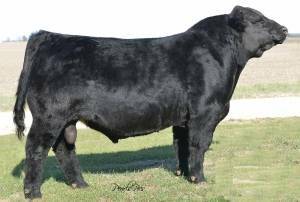 He is a clone in appearance to TLM Bouncer, who has been used extensively on heifers across the breed for many years. He should leave exceptional Maine brood cows just like Bouncer. A little more power, the right size, all in a purebred package. Bred in production and performance with a -1.4 birth EPD, CED of 10 and an 18.4 REA. A favorite of many when displayed and shown at the NWSS in Denver this year. Study the bull, the pedigree and the EPD profile.